I have been nominated to post a riding/racing photo every day for 10 days. The future of Haraldson family cycling is clearly evident in this photo of my oldest daughter Ella practicing her skinny skills on a homemade teeter on a trip to visit their Aunt and Uncle at West Yellowstone this past summer. Specific riding clothing? Who cares I’ll just wear my footies! To see my daughter’s find such great enjoyment in riding their bikes gives me a great sense of joy. To see them graduate from one bike to the next, learning hand brakes, shifting, how to use suspension to pop their front wheel up, the fearlessness in attacking an obstacle. Ella’s first 10 mile ride, Cora’s first time coasting down the driveway on her Strider, Lili’s first trip in the iBert on the Big Dummy. Don’t get me wrong we have had our moments. 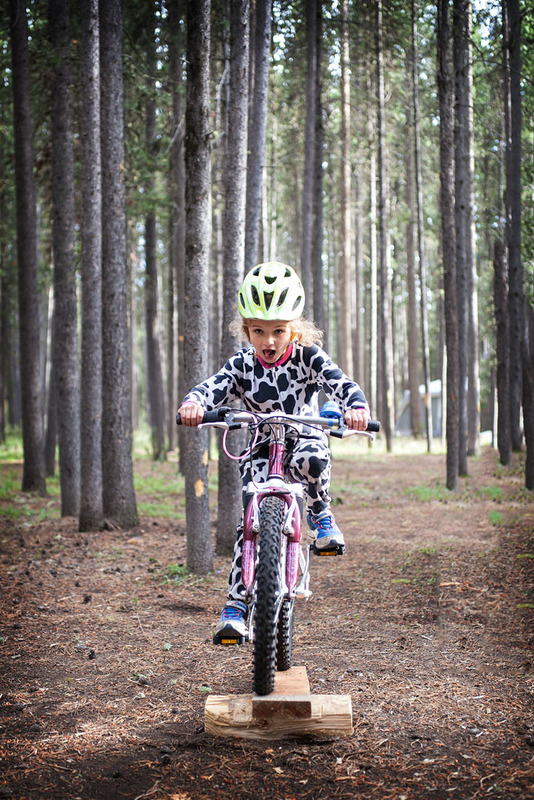 Like the time Ella decided to ride down the hill by our house, myself watching her go only to finally think to myself I wonder if she knows how to stop….only to see her crash moments later into the curb and fly over the handlebars. Yeah it took a little convincing to get back on the bike after that one. I hope that the passion for cycling will also be ingrained in all three of them and that they too have a lifelong passion for riding.